Photo by Jonathan Brown. Brown reviewed the launch on his blog, Around Britain with a Paunch, writing that he and his friends “mingled in the mist, like shadows on the set of Hamlet”. 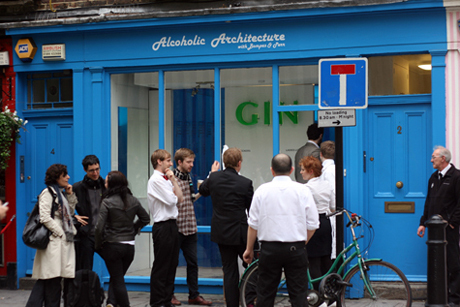 A former boutique storefront in London has become the temporary home for a pop-up bar with a twist: 2 Ganton Street is currently the U.K.’s “first walk in cocktail.” Created by Bompas & Parr (known for their earlier experiments with glow-in-the-dark jelly and scratch & sniff cinema), the “Alcoholic Architecture” bar features giant limes, over-sized straws, and most importantly, a gin-and-tonic mist. 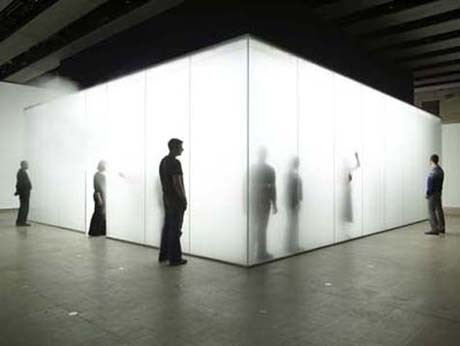 Antony Gormley’s Blind Light, 2007, courtesy of the artist and Jay Jopling/White Cube, London, © Stephen White.